In this interview with Sony Electronic’s Mark Weir we discuss their first digital SLR camera, the Sony α (alpha) A-100. 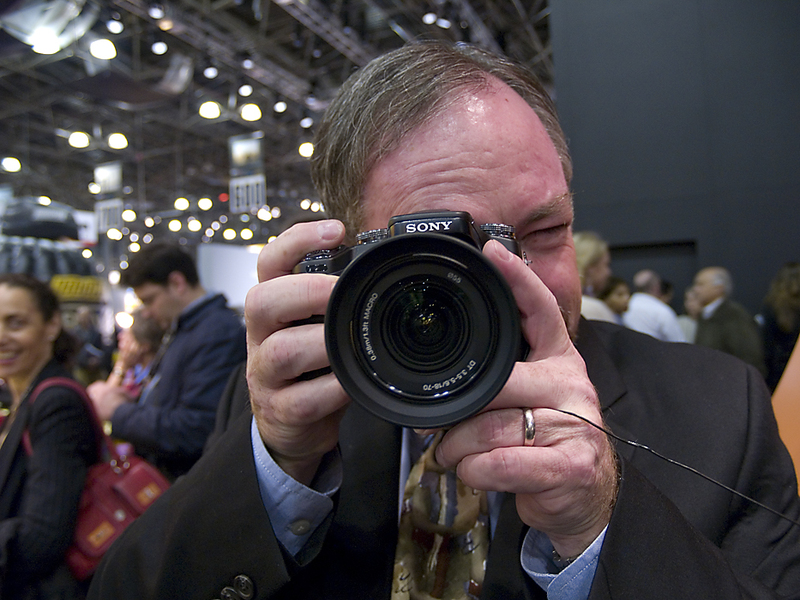 The photography world was shocked at the 2006 decision by Konica/Minolta to exit the photography market. Their assets were purchased by Sony, and the new Alpha camera and system is the first result of that marriage. Building upon Minolta’s respected image stabilization technology, and with lenses designed by Carl Zeiss, the new camera is a force to be reckoned with from a consumer electronics giant. Is there a new Alpha in your life? Should other camera manufacturers be worried? Listen to this interview and find out! Recorded at the PhotoPlus Expo Conference in New York City, in November 2006 by Harris Fogel.